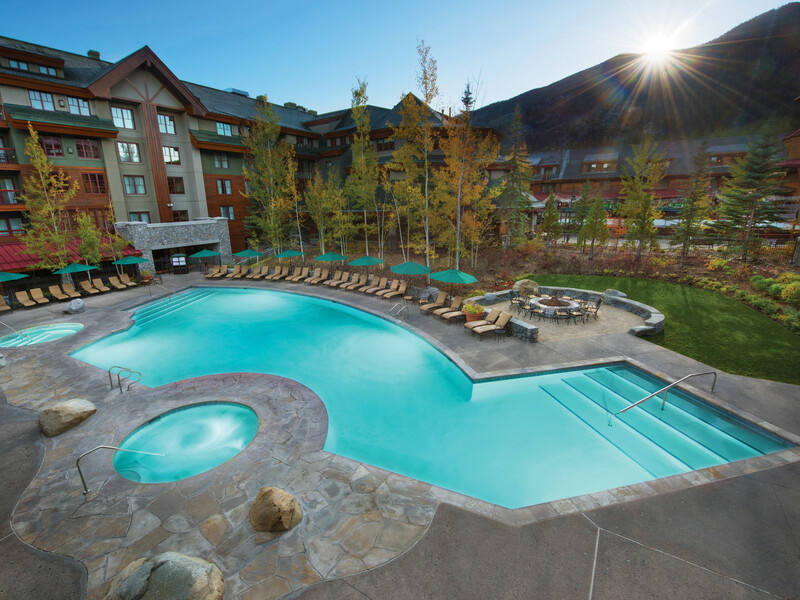 Located at the base of the Heavenly Mountain Resort, a timeshare resale at the Marriott Grand Residence Club Lake Tahoe offers luxury accommodations for discerning travelers. The resort is in the hub of South Lake Tahoe's attractions and nightlife. Guests are only steps away from Heavenly Village's shops, restaurants, and movie theatre. Three Nevada casinos are within walking distance, and the shores of Lake Tahoe are nearby. The Heavenly® gondola is outside your door ready to transport you to a 9,123 foot observation platform. There are simply too many activities to enjoy in one Lake Tahoe vacation. No wonder it is one of the most popular all-season destinations in the country! Buying a Marriott Grand Residence Club Lake Tahoe timeshare for sale gives visitors a chance to return again and again in order to experience everything the area has to offer. The Marriott Grand Residence Club Lake Tahoe fractional ownership resort consists of three elegant chalet-style structures built from native stones and timber. Timeshre owners register in a majestic lobby where they can relax on cozy furniture in front of stone fireplaces. The roofs of the chalet are accented with aged copper. Outside, heated sidewalks meander through the natural landscaping. Timeshare resale deals at Marriott Grand Residence Club Lake Tahoe offer many other amenities on site including valet parking, ski storage, and outdoor fire pits and sunning areas. Owners can visit a state-of-the–art health club with sauna and fitness center. Those who need pampering after a long day of exploring can visit Body Essential Spa which offers skin treatments, massages, and aromatherapy. You can also enjoy the mountain views in the outdoor heated pool and spas. South Lake Tahoe has a variety of dining options. Heavenly Village has fast food, cafes and the sizzling Fire and Ice restaurant where chefs entertain you as they cook your selected meats. The famous Hard Rock Café is located in Harvey's Casino along with a Mexican Cantina and Steakhouse. The 19th floor of the Casino has a restaurant and bar with eclectic cuisine and beautiful views. Those who prefer to dine at their lodging can stock their kitchens from a nearby grocery store. In the summer, you can enjoy perfect beach weather as the temperature climbs to the eighties during the day, then cuddle under the stars during the cooler evenings. For recreation, you can hike along the Tahoe Rim trail, enjoy a hot air balloon ride, or take a sightseeing cruise on Emerald Bay. For the more adventurous, parasailing or jet skiing equipment can be rented at the Camp Richardson Resort and Marina. Others prefer a round of golf at the Tahoe Paradise Golf Course, an 18-hold course located 4 miles from South Lake Tahoe. For those who love winter activities, your Marriott Grand Residence Club Lake Tahoe timeshare couldn’t be more conveniently located. Since the fractional ownership resort is next to the Heavenly® gondola, you never have to worry about driving to the slopes. Heavenly Resort has 3500 vertical feet and 86 runs. For cross-country skiers, Heavenly has 2 ½ kilometers of trails groomed for skate or stride skiing, while the Camp Richardson Cross Country Ski Center offers 35 km of groomed trails, plus marked wilderness trail. Ice skaters can enjoy the rink at Heavenly Village. With fractional ownership at Marriott Grand Residence Club Lake Tahoe, you can choose to use your time during your favorite season, or split the time between two or more seasons. It is like having your own ski chalet and beach house! No matter when you visit South Lake Tahoe, Marriott Grand Residence Club Lake Tahoe is an ideal destination. Premier Timeshare Resale can help you buy or sell a Marriott Grand Residence Club Timeshare Resale. Please view our Marriott Grand Residence Club timeshares for sale, and contact us if you have any questions.